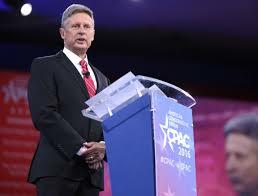 God bless Gary Johnson. He is a good man and his ideas are certainly more qualified, sane and in keeping with the values of this country than either of the two major parties nominees. Libertarian ideas are the right ones at the right time, but Gary Johnson is simply not good enough a messenger and his party is not yet mature enough to make the sale. Johnson is likely not prepared enough to be president and has certainly proven that he gives the appearance of that being the case. You cannot expect to successfully manage the country without a working knowledge of the world around you. Not knowing what Aleppo is and not being able to name one world leader is tantamount to flunking the interview. A detractor to this argument might point out that Hillary Clinton has poor judgment and Donald Trump has zero working knowledge, but alas that is the nature of sales. In every sale, you cannot just be less unprepared than your competitor. You have to better, significantly better to induce change. The benefits have to be real and explained clearly, or you do not win the sale and you do not convince the buyer that change is in his interest. People stick with the incompetency they know. Americans want a free and fair market. They want an economy that once again ensures that the majority of Americans have the chance at achieving a dignified middle to upper middle class life, one that ensures that they know that their kids will have it even better. Removing the ever increasing morass of red tape and reforming the nightmarish tax code that stifles the innovation and creativity of Americans is a must. Today’s system empowers the elites who are the only ones that can afford enough lawyers and accountants to pay for compliance. This widens the gap in inequality and insures that the American dream is further and further removed. The Libertarian Party understands this and I believe that a majority of the American public understands this as well. Americans are tired of the elites playing their little international games of risk on the back of the taxpayer and even worse, on the physical backs of their children who end up risking life and limb. Americans want a strong and coherent defense and foreign policy. They are willing to put their lives on the line for freedom, but not for an elite game of international chess. A majority of Americans want the government once and for all out of their personal and social lives. They correctly judge that is they, not the government who should judge what they should do with their bodies and who they should marry. Additionally, American prisons and courtrooms are packed with people who never should have been there in the first place. Such a system of criminal justice is no justice at all, and certainly not becoming of a supposedly free country. If the Libertarian Party wants to have a substantial and positive impact on the American political scene, it can do so and now is the time to take the next step and seize the day. However, in order to do so, the Libertarian Party needs to mature. Dress and act the part. In short, grow up. America needs you. 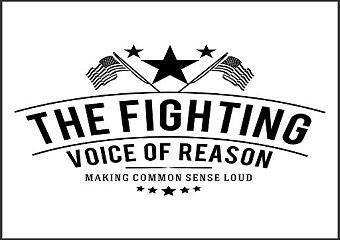 Tired of hearing only the craziest opinions and solutions on both sides of the political aisle? So are we. And like you, we believe that millions of Americans are reasonable people who want reasonable solutions to political problems. We are open to and believe that solutions exist from the right, the left, the middle and everywhere else in between. Our goals are: 1)	To start and engage in vigorous conversation that promotes reasonable dialogue and outcomes. 2)	Aggressively fight back and counter blatant political illogic and un-truths. Whether they are coming from the left or the right, pure ideologues or political establishment hacks, we believe that the American people are tired of being drowned and out and pushed around by the most unreasonable among us. Enough is enough. It is time for Americans to get loud and push back.